If you are in the market for a credit card that includes a generous cash back rewards program, Chase Freedom is worth considering. For starters, there is no annual fee, and you will enjoy zero percent APR for the first 15 months on all purchases and balance transfers. 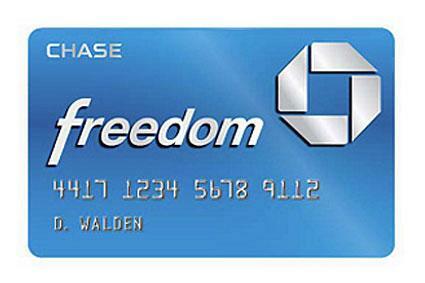 Chase Freedom has a number of other benefits for its cardholders. Each quarter, Chase allows you to earn five percent cash back of up to $1,500 on purchases made in select categories. All other purchases will earn you one percent, and there is no ceiling on the amount you can earn. The program also boasts flexible redemption options. Your cash can be redeemed for Amazon.com points, gift cards, flights, or lodging. Except for APR, all benefits offered on this card are free to the cardholder as there is no annual fee. However, the late payment fee ranges between $15 and $37, depending on the outstanding balance. Although Chase Freedom offers many perks to cardholders, there are a few drawbacks you want to keep in mind. You will automatically receive the one percent throughout the year, but you have to opt-in for the five percent cash back rewards each quarter. Retroactive earnings are also available if you opt-in by the 14th day of the final month in the quarter. Fortunately, Chase offers an app that will send you a friendly reminder to enroll, but if you completely overlook it, you will miss out. Although the foreign transaction fee is only three percent, the charges can begin to add up when traveling abroad if you are planning to stay for an extended period. To derive the greatest earning potential from this card for travel, you will need to look into other Chase products to transfer your points, notes The Simple Dollar. Chase Sapphire Preferred®, which offers a more enticing cash back rewards program, is a viable option, the article adds. Before applying for the Chase Freedom card, you will need to evaluate a few key factors to determine if it will best suit your needs. Many generous cash-back rewards cards on the market are reserved for those with stellar credit. However, Chase Freedom enables you to access similar perks, even if your credit doesn't hit the mark. "If you have less-than-excellent credit and are looking for a good deal on cash-back rewards, this card could be your best option," says Nerd Wallet. You may also qualify if you are a credit newbie, the article adds. Chase offers an online shopping platform, Shop through ChaseSM , that allows you to earn up to 15 percent cash back. There are over 200 well-known retailers to choose from when using this option. Most consumers love cash, but what is even more exciting is spending it any way you would like. Since Chase Freedom offers four redemption options, the choice is yours. As mentioned earlier, the card does carry a foreign transaction fee, so it is not ideal for international excursions. There is always a chance that an unforeseen issue could arise, forcing you to miss a payment. However, frequent oversights will not work for this card as there is a penalty APR of 29.99 percent for missed or late payment. The penalty APR also applies if you exceed the credit limit. "If you do not intend to pay your balances in full, or there is any possibility of late payments, you should consider a card with a lower APR," says Money Crashers. To apply for the Chase Freedom card, complete the online application or call 1-800-432-3117. As with any credit card product, you should carefully review the terms and conditions to confirm you understand the fine print in its entirety. Doing so could save you hundreds--if not thousands--of dollars on unforeseen interest and fees.